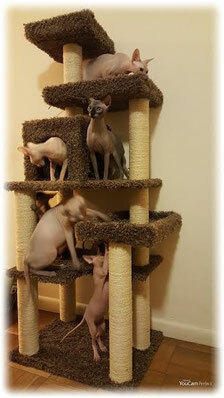 We are a small Cattery located in Seattle, Washington. We love and raise each litter as they were our own. All kittens are litter box trained, dewormed, and have up to date vaccinations. We are CFA and TICA registered. 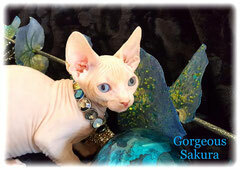 All our Sphynx are sold as pets for $1,750 ~ $2,500. Approved breeders are sold for $2,800- $3,500. Rare colors and odd-eyed range from $3,000-$5,000. 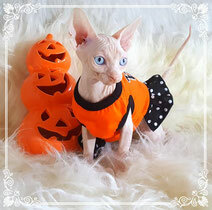 A $400 non-refundable deposit will hold your cat in your name and used toward the purchase of your Sphynx. PAYPAL, VISA & MasterCard accepted. 1 boy ready for New Home! Please feel free to ask any questions! Thank you! All kittens will go to their New Home at 12 to 14 weeks. 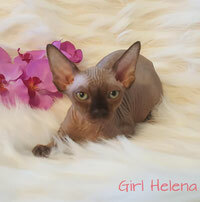 We will provide with each kitten: One year health guarantee, Current on All necessary Vaccinations, Dewormed. Shipping Available for an additional $ 350. Includes New Blanket, Sweater, Health Certificate and First shots. DISCOUNT on 2-nd kitten if purchased at the same time and it ships for FREE! We ship via United Airlines PetSafe Travel Program or DELTA Pet shipping Cargo.